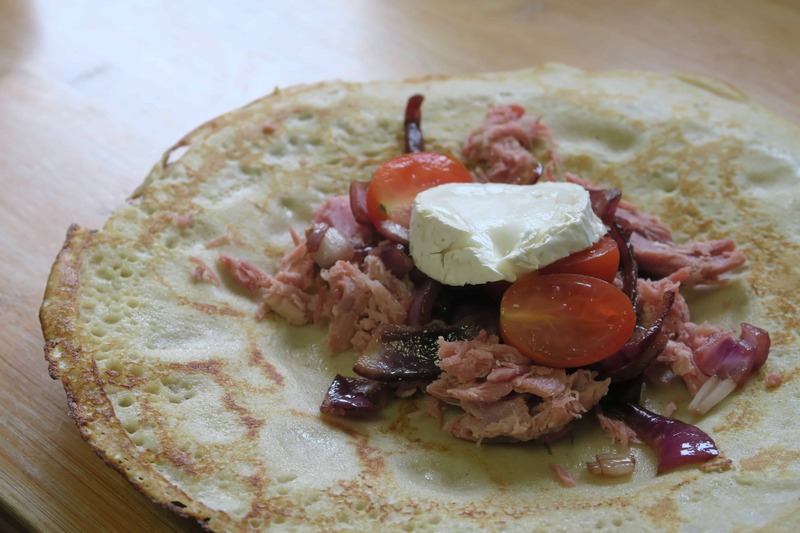 It’s nearly Pancake Day, and what better excuse to crack out the frying pan and make this scrummy gluten free pancakes recipe? 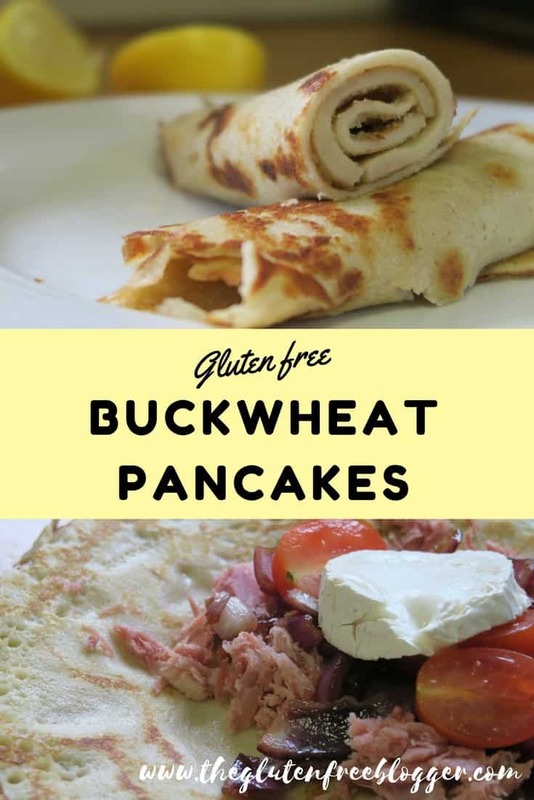 I often find gluten free pancakes can go a sort of unappealing, grey colour, particularly crêpe type pancakes, but these buckwheat ones go a lovely golden colour – particularly due to the melted butted you stir in. Very indulgent! 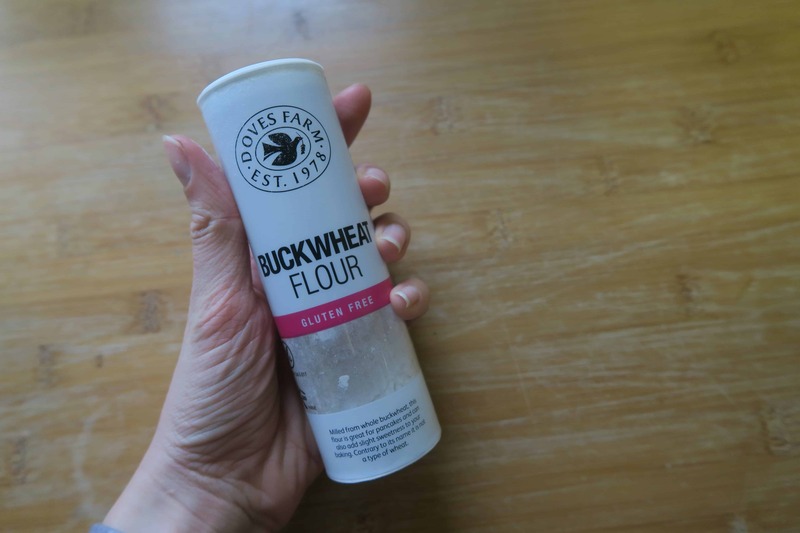 Buckwheat is naturally gluten free, though you must make sure you buy one which is labelled as gluten free flour, otherwise you could be at risk of cross-contamination. I used the Dove’s Farm buckwheat flour which comes in a small tube in Tesco and Sainsbury’s free from aisles. 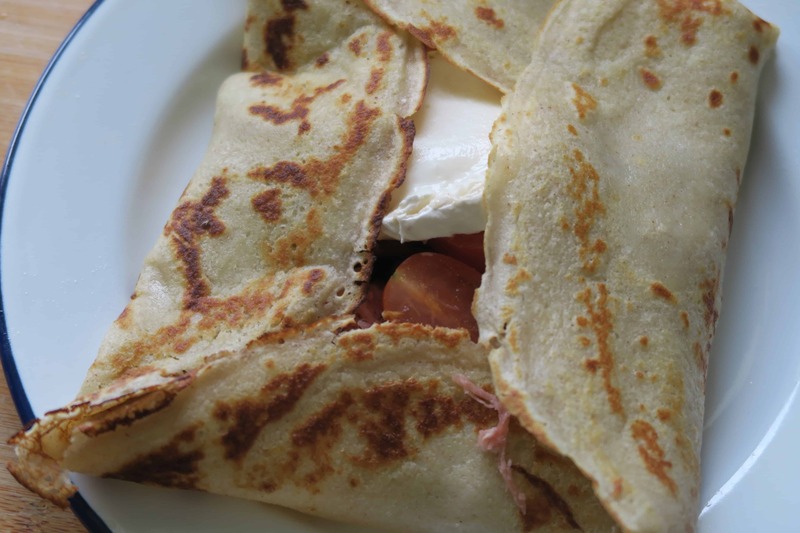 I used these gluten free pancakes in two ways to make a yummy lunch – the first I made in a French gallette style, filling them with ham hock, goat’s cheese, tomatoes and caramelised red onions, folding in the sides and baking for five minutes. 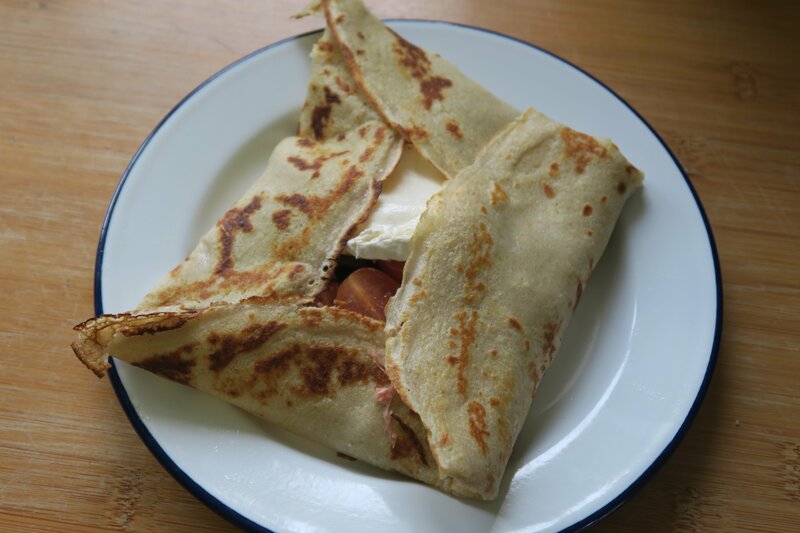 This creates a yummy, cheesy, gooey, delicious gluten free pancake parcel! And for dessert (yes, lunch desserts, get me!) I topped the final gluten free pancake with freshly squeezed lemon juice and sugar – a simple but classic combination – before rolling it up for Steve and I to share. This as perfect, not too heavy but enough for those sweet cravings. 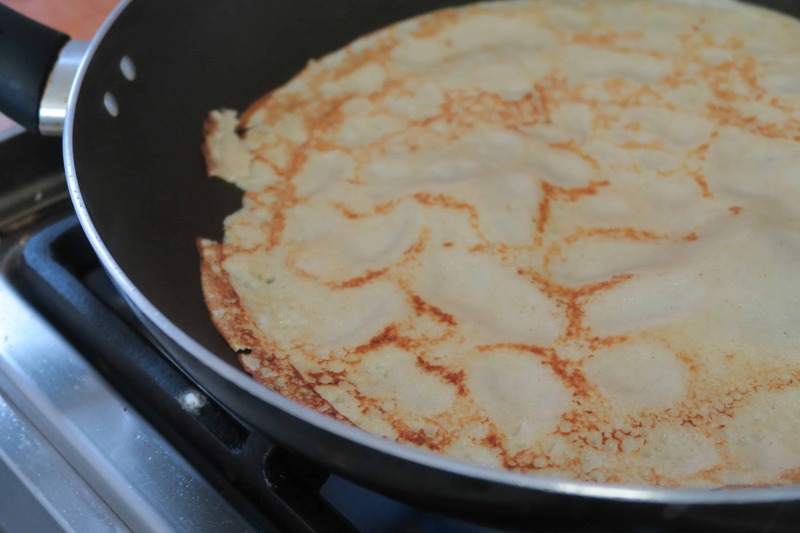 However you top your gluten free pancakes, I hope you have a fantastic gluten free Pancake Day! Gluten free buckwheat pancakes recipe. Macros per serving (pancakes only): 441 calories; 40g carbs (8g sugar); 11g protein; 27g fat. 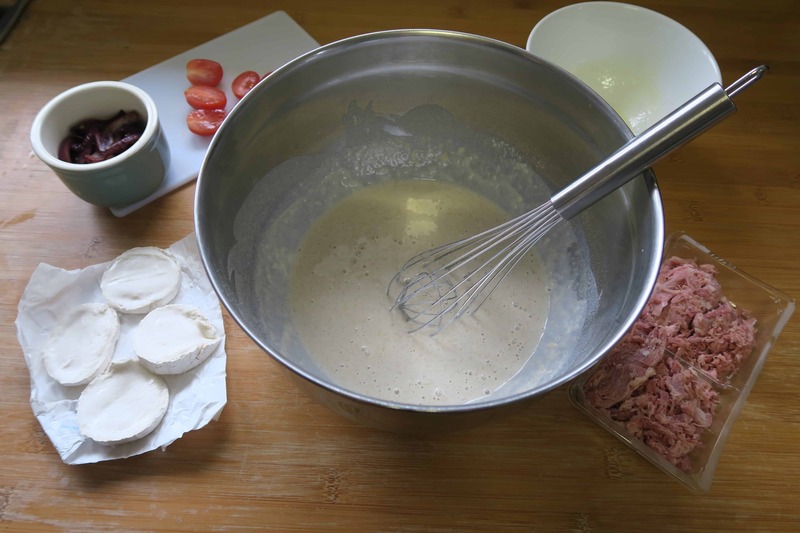 Add the buckwheat flour, salt, and half of the milk to a large mixing bowl and whisk into a nice, smooth batter. Once combined, add the rest of the milk and refrigerate the mix for half an hour. Meanwhile preheat the oven to 160’C / Gas 3 / 325’F and prepare you ingredients for the fillings. Slice the onions, and fry in a little coconut oil until softened. Add the balsamic vinegar and honey and cook for a further minute before removing from the heat. Take the pancake batter from the fridge, melt the butter and then add it to the mixture. Stir well until it combines. Heat a large, non-stick frying pan on a medium heat and add the coconut oil. Once melted, add two ladles of the gluten free pancake mixture to the pan and spread around. Cook for about a minute, loosen the pancake and then flip. Cook for a further minute on the other side. 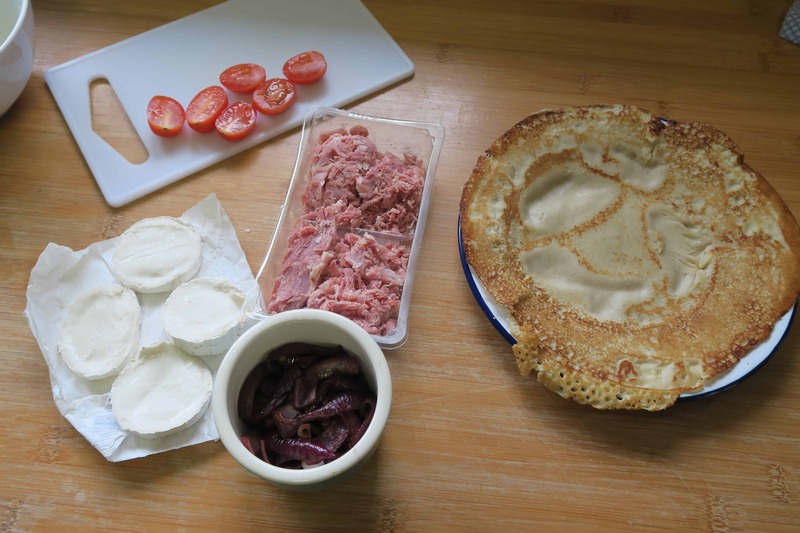 Remove from the heat, and in the centre place the ham, cheese, tomatoes and red onion. Fold the sides in to form a parcel, then place in the oven on an ovenproof tray/plate for 5 minutes until the cheese melts. Remove and enjoy. 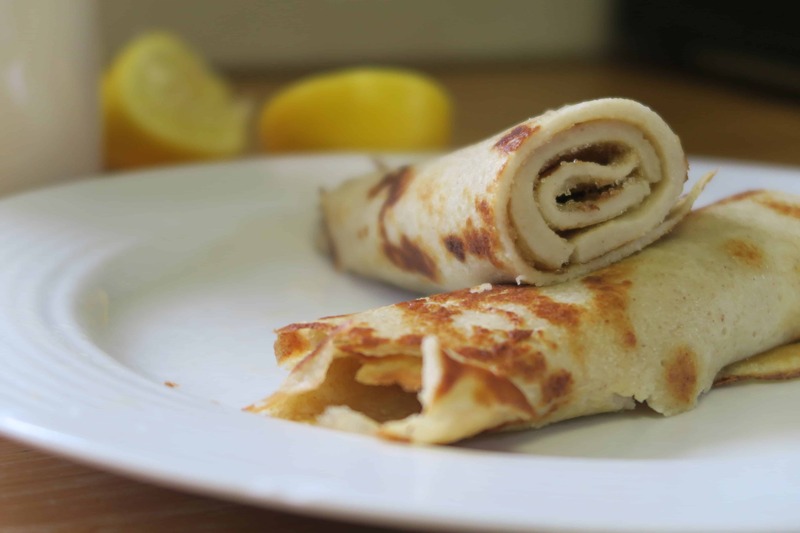 For the sweet pancakes, once the gluten free pancake is cooked, cover with fresh lemon juice and sugar, and roll, before eating straight away. How do you top your gluten free pancakes? What is your favourite gluten free pancakes recipe? 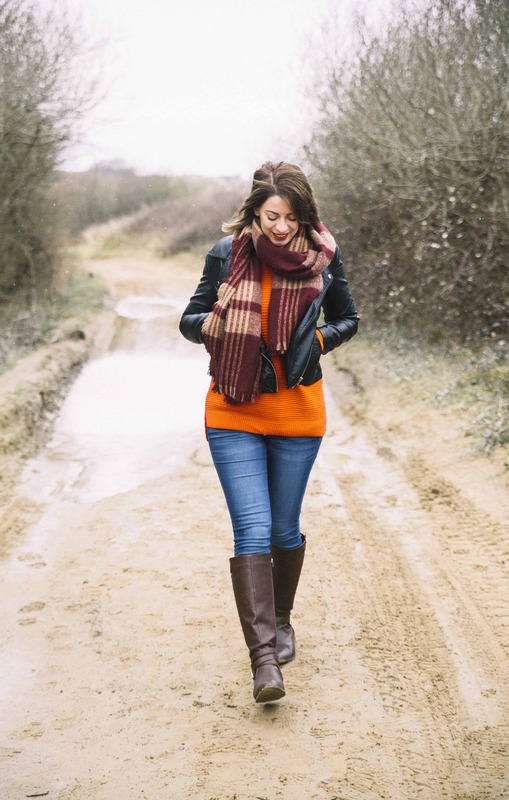 Comment below, I’d love to hear your suggestions, or share them with me on my Facebook, Twitter or Instagram pages. Happy Pancake Day! Like this gluten free pancakes recipe? Pin it for later! Gluten free Creme Eggs brownies – the ultimate Easter treat!